​For My Family Cleaning Services, Inc. reserves the right to make any changes to any part of this service agreement without giving any prior notice. By ordering For My Family Cleaning Services, Inc services by telephone, e-mail, or it’s website the client accepts and agrees to For My Family Cleaning Services, Inc. service agreement. ​​​​​All employees go through rigorous training to learn every aspect of the detailed FMF standard. They know what is required and what is expected on every cleaning visit. For your protection and peace of mind all employees undergo a nationwide background check, reference check, and drug screening during the hiring process. All employees are covered under our workers compensation policy, liability insurance and bond. Anything outside of our service areas which are Philadelphia, Plymouth Meeting PA, Glenside PA, Norristown PA, Camden NJ, and Cherry Hill NJ, will be subjected to travel fees. We charge $0.85 per mile from our corporate office. Toll charges will be included in your invoice for all New Jersey or to all clients that this applies. We reserve the right to take "Before and After" pictures. The images we obtain, will ONLY be used for business purposes only. We provide you with a 2 hour window time of arrival. For example: Cleaning Technicians will arrive between 8am and 10am. Due to many unforeseen circumstances, our technicians can be delayed in arriving to you. FMF Cleaning Services cannot guarantee we will arrive at the promise time. For your convenience we will contact you at least 30 minutes before your window time starts to notify you of the status of the cleaning technicians. Failure to return our phone call within a 20 minute windows of when it was received, will result in your appointment being automatically cancelled. If the cleaning crew arrives at your property and no one is there to grant access, or your appointment is cancelled due to failure to contact you, or we receive no response from you, then a $70 inconvenience fee will be assessed to your credit card immediately! This fee will cover the expenses we incurred to service you, such as: administration fees, Gas, Toll, Labor, etc. This fee will not be waived! ​​​​​​​​If there is no free public parking within 1 block radius of your home, our clients are responsible for providing our cleaning associates with any one of the following; a permitted parking space (personal or public), a valid parking permit, or cover all parking fees incurred while cleaning your home. We can refuse services if the proper parking is not provided. We understand that your pets are apart of your family, but as a courtesy to our cleaning technicians, we ask that you make sure your pets - dogs, (regardless of size and/or temperament) cats, etc., are locked and/or caged up, in an area where the FMF Pros will not be disturbed by, or forced to have any contact with them. 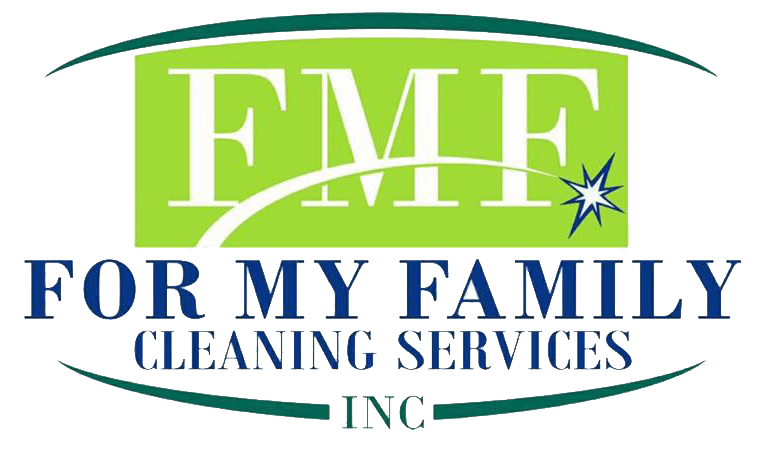 Otherwise, FMF Cleaning Services may opt not to render you services, resulting in either the rescheduling of your appointment, or the refunding of your money. If a refund is going to be issued and the cleaning crew arrived at your home and an agreement could not be made, only 50% of your service will be refunded. The other 50% will be applied to travel fees. Additional fees will apply for excessive pet hair and mess. ​​​​​​​​​​If you require extra services or additional cleaning on your scheduled cleaning day, please contact us 48 hours in advance so we may allow the extra time needed at your home and we can give you a quote for the additional services. Lifting & Climbing​​​​​​​​​​. Our employees are very important to us, and we are determined to keep them safe, so they do not climb ladders with more than 2 steps or move anything heavier than 30 lb. These types of activities put our technicians in danger of back injury or could even damage something in your home. If you would like us to clean under appliances like a refrigerator, oven or furniture such as a sofa, please move it prior to the cleaning visit to allow access to the area. All clients (Voucher, Residential, and Commercial) whether paying in cash by way of check must give us a valid credit card to place on file. We ask for a valid credit card to be placed on file for these reason: signing up for recurring services, and if your appointment was cancelled then cancelation fee will be accessed. Failure to do this, will result in an $25 additional fee added to your services and/or we will refuse service. All vouchers are subject to our policies, terms, conditions and our calendar's availability. Vouchers includes all stated services listed on the purchased voucher, anything outside of what's specified within voucher limits, will require additional fees. Our technicians will do a walk thru with you before rendering services. If you home doesn't meet the proper requirements, the technicians will inform you of additional fees or refuse services. Please understand these vouchers are provided through a 3rd party company at a discounted price. Its to test our services for recurring use not for heavy cleaning. Please refer to your voucher for other terms and conditions. Voucher Promotion - Refunds for vouchers and all other discount priced services , will only be issued within the first 72 hours of purchase. After the 72 hours has expired, a gift certificate for the value of the voucher or discounted service purchase will be issued. Full Price Services - All payments must be made on or prior to the day of your scheduled cleaning service. There is no charge for canceling a regularly scheduled cleaning with more than 72 hours notice. However, If our team arrives at your home at the appropriate time, and cannot render services, or gain entry to your property for any reason *(I.E. change of mind, change of locks without notification, vacation without notification, refusal to remove animal, or any other safety hazard) the full charge for the visit will be made. If a client receive services that does not meet his or her standards, because FMF Cleaning Technicians failed to follow company policies, or neglected to do their job properly, which in most cases has to be proven that FMF Cleaning Technicians did not follow protocol; a refund will be issued. 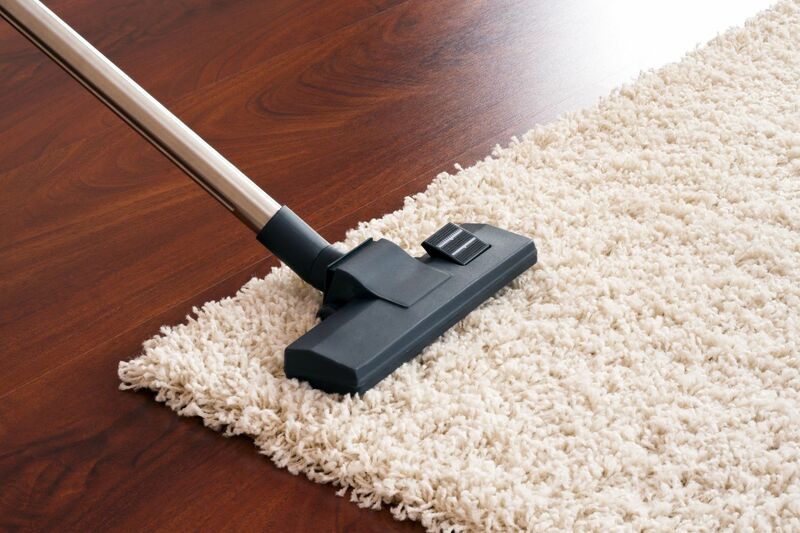 We treat our clients property with the utmost respect and care as we treat our prospective own homes and offices. Therefore, FMF reserve the right to take inventory of all item(s) within designated areas to be cleaned, in the event something is damaged or broken, we will gladly refund and/or pay for these inconveniences. If you are issued a refund, please allow 30 business days to receive that refund. In most cases a company check will be processed and issued. FMF reserves the right at any time to modify or discontinue, temporarily or permanently, the Company Services (or any part thereof) with or without notice. You agree that For My Family Cleaning Services shall not be liable to you or to any third party for any modification, suspension or discontinuance of the Company Services. FMF shall have no obligation to refund any amounts paid by the client, but FMF may choose to do so in its sole and absolute discretion. If FMF agrees to pay a refund, please allow 30 business days to receive that refund. A 30% administration fee will be charged and taken out of the original payment price. Payments are due in full before service is rendered or at the scheduled appointment time. For your convenience, we gladly accept cash, checks (payable to For My Family Cleaning Services) and credit card (Visa, Master Card, Discover, Diners Club, JCB, UnionPay, American Express) payments. Clients paying with cash or check may leave payment at their residence. If you're paying with your credit/debit card left on file, we process our credit card payments the Monday before your scheduled appointment. All clients are required to leave a valid credit/debit on file. This is policy, please honor it. Returned Checks: There is a non-refundable $35 NSF Fee for checks returned unpaid from your bank in addition to the unpaid balance. If this should occur, we will charge the unpaid balance and NSF fee to your credit/debit card left on file, along with the processing and administration fee of $8.95. No payment Upon Arrival: If no one is home upon our arrival and there is no payment left behind, we will charge your credit/debit that you left on file for the service amount. for a credit card. Because we process our credit/debit card once per week, if we have to charge your card (due to non-payment in the form of cash or check) we will charge you the processing and administration fee of: $8.95 along with the service amount. This fee will not be waived! Travel Fees: Travel fees are assessed when a client is outside of our service area, which we charge $0.85 a mile plus tolls. Our service areas are Philadelphia, Montgomery County (Glenside, Plymouth Meeting, & Norristown), and South Jersey (Camden & Cherry Hill). Anything outside of these areas will be charged a travel fee. Tipping: FMF never requires tipping, but you can tip if you would like. Just leave your tip with your payment and management will make sure that the money is distributed properly. That is just a special thank-you for our hard work. Also, leaving us a note of appreciation means so much to us. We sincerely appreciate your business. For My Family Cleaning Services, INC., cannot control the nature of all of the content available on the Website. By operating our Website, For My Family Cleaning Services does not represent or imply that FMF endorses any blogs, contributions or other content available on or linked to by the Website, including without limitation content hosted on third party websites or provided by third party applications, or that FMF believes contributions, blogs or other content to be accurate, useful or non-harmful. We do not control and are not responsible for unlawful or otherwise objectionable content you may encounter on the Website or in connection with any contributions. The Company is not responsible for the conduct, whether online or offline, of any user of the Website or Company Services. YOU AGREE THAT YOUR USE OF OUR WEBSITE AND COMPANY SERVICES WILL BE AT YOUR SOLE RISK. TO THE FULLEST EXTENT PERMITTED BY LAW, COMPANY, ITS OFFICERS, DIRECTORS, EMPLOYEES, AND AGENTS DISCLAIM ALL WARRANTIES, EXPRESS OR IMPLIED, IN CONNECTION WITH THE WEBSITE AND THE COMPANY SERVICES AND YOUR USE THEREOF, INCLUDING, WITHOUT LIMITATION, THE IMPLIED WARRANTIES OF MERCHANTABILITY, FITNESS FOR A PARTICULAR PURPOSE AND NON-INFRINGEMENT. FMF MAKES NO WARRANTIES OR REPRESENTATIONS ABOUT THE ACCURACY OR COMPLETENESS OF THE WEBSITE’S CONTENT OR THE CONTENT OF ANY WEBSITES LINKED TO THIS WEBSITE AND ASSUMES NO LIABILITY OR RESPONSIBILITY FOR ANY (A) ERRORS, MISTAKES, OR INACCURACIES OF CONTENT AND MATERIALS, (B) PERSONAL INJURY OR PROPERTY DAMAGE, OF ANY NATURE WHATSOEVER, RESULTING FROM YOUR ACCESS TO AND USE OF OUR WEBSITE, (C) ANY UNAUTHORIZED ACCESS TO OR USE OF OUR SECURE SERVERS AND/OR ANY AND ALL PERSONAL INFORMATION AND/OR FINANCIAL INFORMATION STORED THEREIN, (D) ANY INTERRUPTION OR CESSATION OF TRANSMISSION TO OR FROM THE WEBSITE OR COMPANY SERVICES, (E) ANY BUGS, VIRUSES, TROJAN HORSES, OR THE LIKE WHICH MAY BE TRANSMITTED TO OR THROUGH THE WEBSITE BY ANY THIRD PARTY, AND/OR (F) ANY ERRORS OR OMISSIONS IN ANY CONTENT AND MATERIALS OR FOR ANY LOSS OR DAMAGE OF ANY KIND INCURRED AS A RESULT OF THE USE OF ANY CONTENT POSTED, TRANSMITTED, OR OTHERWISE MADE AVAILABLE VIA THE WEBSITE. COMPANY DOES NOT WARRANT, ENDORSE, GUARANTEE, OR ASSUME RESPONSIBILITY FOR ANY PRODUCT OR SERVICE ADVERTISED OR OFFERED BY A THIRD PARTY THROUGH THE WEBSITE OR ANY HYPERLINKED WEBSITE OR FEATURED IN ANY BANNER OR OTHER ADVERTISING, AND COMPANY WILL NOT BE A PARTY TO OR IN ANY WAY BE RESPONSIBLE FOR MONITORING ANY TRANSACTION BETWEEN YOU AND THIRD-PARTY PROVIDERS OF PRODUCTS OR SERVICES. AS WITH THE PURCHASE OF A PRODUCT OR SERVICE THROUGH ANY MEDIUM OR IN ANY ENVIRONMENT, YOU SHOULD USE YOUR BEST JUDGMENT AND EXERCISE CAUTION WHERE APPROPRIATE. IN NO EVENT SHALL FOR MY FAMILY CLEANING SERVICES OR ITS DIRECTORS, EMPLOYEES, OR AGENTS BE LIABLE TO YOU OR ANY THIRD PARTY FOR ANY DIRECT, INDIRECT, CONSEQUENTIAL, EXEMPLARY, INCIDENTAL, SPECIAL OR PUNITIVE DAMAGES, INCLUDING LOST PROFIT, LOST REVENUE, LOSS OF DATA OR OTHER DAMAGES ARISING FROM YOUR USE OF THE WEBSITE OR COMPANY SERVICES, EVEN IF COMPANY HAS BEEN ADVISED OF THE POSSIBILITY OF SUCH DAMAGES. NOTWITHSTANDING ANYTHING TO THE CONTRARY CONTAINED HEREIN, COMPANY’S LIABILITY TO YOU FOR ANY CAUSE WHATSOEVER AND REGARDLESS OF THE FORM OF THE ACTION, WILL AT ALL TIMES BE LIMITED TO THE AMOUNT PAID, IF ANY, BY YOU TO COMPANY FOR THE COMPANY SERVICES DURING THE PERIOD OF THREE (3) MONTHS PRIOR TO ANY CAUSE OF ACTION ARISING. You agree to defend, indemnify and hold For My Family Cleaning Services, its subsidiaries, and affiliates, and their respective officers, agents, partners and employees, harmless from and against, any loss, damage, liability, claim, or demand, including reasonable attorneys’ fees and expenses, made by any third party due to or arising out of your contributed content, use of the Company Services, and/or arising from a breach of this Agreement and/or any breach of your representations and warranties set forth above. Notwithstanding the foregoing, FMF reserves the right, at your expense, to assume the exclusive defense and control of any matter for which you are required to indemnify Company, and you agree to cooperate, at your expense, with Company’s defense of such claims. Company will use reasonable efforts to notify you of any such claim, action, or proceeding which is subject to this indemnification upon becoming aware of it.